Mission Statement | RB Smith Co., Inc.
Our mission is to preserve and build your financial security and prosperity through an alliance of disciplined asset management and comprehensive financial planning. My vision statement is to help my clients work toward financial independence through planning. We want to spend time with clients to determine their goals and objectives, time horizon, risk tolerance and help them make suitable financial decisions for their future. Our vision is to build a long-term relationship together. As their trusted and knowledgeable financial advisor, we aim to accomplish this through education, training, integrity and outstanding client service. We aspire to a higher degree of quality in client services and the paramount standard of professional ethics and integrity. Valparaiso, IN - March 01, 2019 - Dan Wilburn of LPL Financial was recently ranked No. 41 in Indiana in the annual Best-In-State Wealth Advisors list published by Forbes. Dan Wilburn has been providing financial services to more than 250 clients in the Northwest Indiana area for over 26 years. Wilburn provides a full range of financial services, including retirement and financial planning, individual money management, individual stocks and bonds, mutual funds, annuities and more. Wilburn is an LPL Financial advisor. LPL is the nation’s largest independent broker-dealer** and a leader in the retail financial advice market, providing resources, tools and technology that support advisors in their work to enrich their clients’ financial lives. 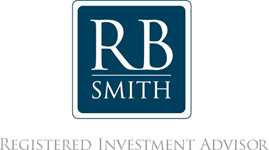 About R. B. Smith Co., Inc.
President, R.B. Smith Co., Inc.